Sunhearrt Ceramik started its journey in 2010. In just a span of seven years it has become the Market Leader in Indian Ceramic Industry and is positioned with in top 10 tiles brand in Indian ceramic industry. 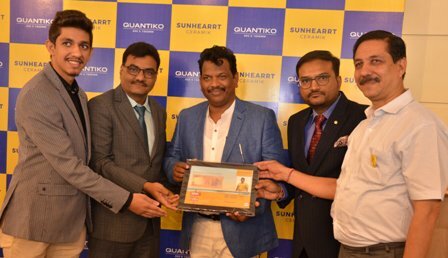 Sunhearrt Ceramik is amongst the fastest growing companies in the industry and has established itself as the largest exporter of tiles in the country. This year Sunhearrt is growing 40% plus despite of the external changes like demonetization and GST implementations and change of GST etc.